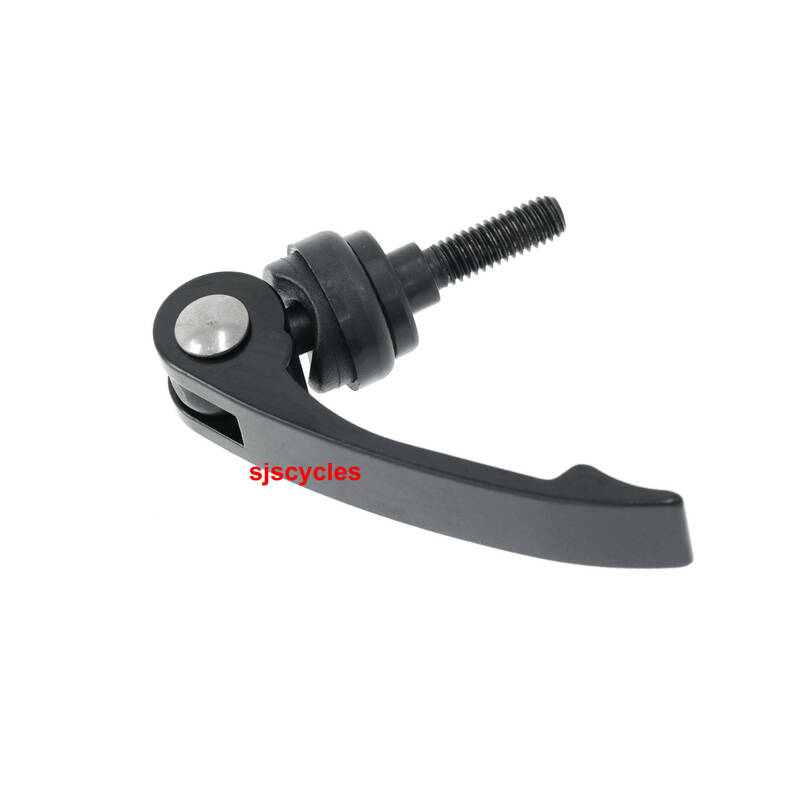 M6 x 30mm long, black arm. ConsI wish someone would start making dedicated quick release ahead stems! As I have to store my bike indoors to avoid it being half-inched off the mean streets of Islington in central London, I was keen to find a way of turning the handlebars sideways to reduce the space it takes up. I was looking for a QR with a shoulder, so that the lever would clear the stem when closed. These Thorn QRs do the job, though a specific product would be a bit neater. Strangely, nobody else in the world seems to have bike storage problems, because a quick-release ahead stem is not only unavailable, but it seems nobody has every thought of it before. Anyway, I used two of these Thorn quick releases to convert my standard ahead stem to a quick-release system. This now allows me to turn the handlebars sideways so that the bike takes up much less space. I've been using it for a fortnight now without problems. Result! Could Be Used With These Seat Clamps? Please, could in your opinion be used to replace the bolt of these kind of seat clamps? Unfortunately the seat clamps that you mentioned will not work with this product. Is threaded portion 30mm long? What is the diameter and length of the boss next to the thread? What is the diameter of the flange next to this boss? I need to know if it will fit my existing seat clamp. Many thanks. The threaded portion is 16mm in length. The diameter of the boss is 8mm and it is 4mm in length. The diameter of the flange next to the boss is 16mm.